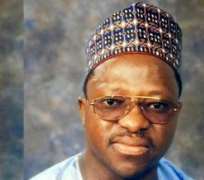 The Court of Appeal in Abuja on Friday commuted the 14 years jail term of the former governor of Plateau State, Joshua Dariye, to 10. The panel posited that the lower court which had earlier found Dariye not guilty for the charge should not have sentenced him on the charge. The court also quashed count 23 because the persecution did not prove beyond reasonable doubt that the former governor diverted the funds of the state to purchase a house in London. It would be recalled that High Court of the Federal Capital Territory, Gudu, Abuja, presided by Justice Adebukola Banjoko on Tuesday, June 12, 2018, sentenced former governor Joshua Dariye who was a serving senator to 14 years' imprisonment on charges of criminal breach of trust and criminal appropriation of the state's funds running to over N2billion.